My past two blog posts have been focused on open world gaming. These posts have been continuations of an earlier post about the narrative "limbo" that many open world games create via their quest structures. In the first post in this second series, I pointed out what I perceive to be a problem with open world games that insist on turning their sandbox worlds into little more than convoluted mission-select screens and collectible checklists. In the following post, I described some games that I think managed to make successful open worlds by including features or mechanics that made traveling through the space (or knowledge of the space) into a meaningful mechanic. This time, I want to go back to some of the games that I singled-out in the first post in this series, and brainstorm some ways that they could have made better use of the large spaces that their maps offered so that traveling around the world wouldn't become so boring later in the game. But before I do that, I want to re-emphasize that I don't hate these games. They're just not very good at using their space, and that's what I'm criticizing. 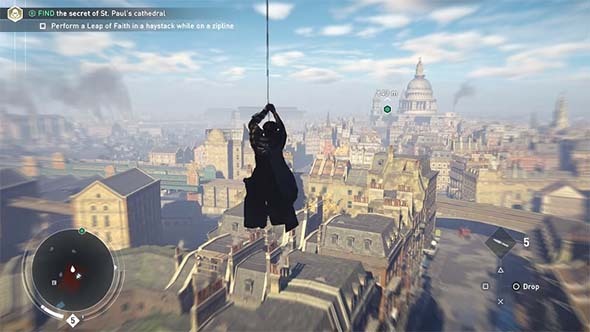 Well, the newer Assassin's Creed games have been pretty terrible. Anyway, I pick on games like Skyrim and The Witcher III a lot, but I like them just fine - I bought the DLC for both. I pick on them, not because I hate them, but because I do like them and I want them to get better (or for their sequels to get better). Rather, my objective here is to find ways for these games to make better use of the large, open spaces that they provide the player, so that exploring the map feels more mechanically relevant, more interesting, or more rewarding; and to feel less like a time-sink. 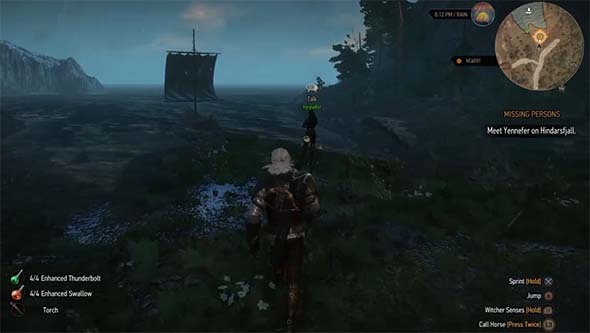 Games like Skyrim and The Witcher III have massive worlds, but do a poor job of utilizing the space. 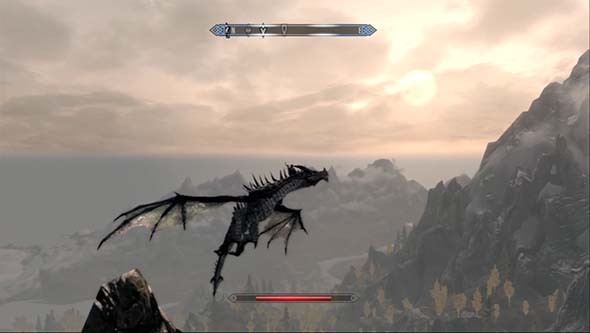 Bethesda's Skyrim and Fallout titles, as well as CD Projeckt Red's Witcher III and Rockstar's Grand Theft Auto V, already have open worlds that transcend being simple, convoluted mission-select screens like games like Assassin's Creed and Metal Gear Solid V. They populate their worlds with little narrative world-building details that make their worlds feel alive and lived-in (even though they may feel stagnant). 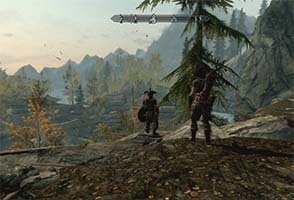 So what could a game like Skyrim or The Witcher III have done to improve its open world? Last time, I discussed what I perceive as a problem in the way that most open world games (specifically, sandbox games) design their maps and use the space that the maps offer - or fail to use that space, to be more specific. 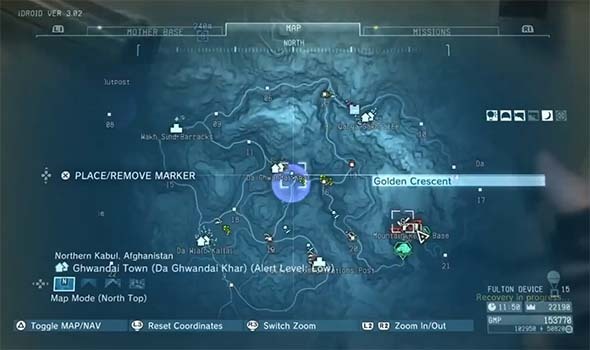 So many open world maps end up feeling less like actually playing the game, and more like a convoluted mission-select and collectible checklist screens. This problem is especially bad in the Ubisoft model of design, and is also a problem (to a lesser extent) in Bethesda's open worlds. Due to the popularity of these developers' franchises, many other developers have been cloning these styles of games to one extent or the other, to the point at which Ubisoft's open world model seems to be the go-to template for any developer trying to make an open world game. These games aren't necessarily bad. They just aren't very good at making the space of their maps feel meaningful in its own right. 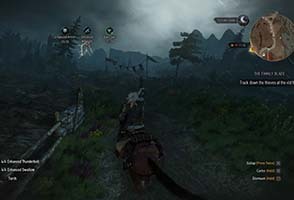 as the player rushes through them simply to get to the next map marker or checklist item. "Even the open world itself feels constrained, as sheer cliffs prevent you from travelling too far off of the roads and serve to functionally railroad the player towards the small set-piece outposts and villages." I realized while playing MGSV that the game had built this large, open world (well, two large, open worlds really, but I hadn't gotten that far yet), but it didn't really care to let the player actually traverse that space or use it in any meaningful way other than scavenger hunting for collectibles. At least those collectibles felt relevant to gameplay though! Roughly half the map is dead space that the player can't even access. There was also this strange focus on using the helicopter to drop in and drop out of missions, rather than actually living in the game world, as the character had to do in Snake Eater. The map started to feel less and less like a place, and more like a convoluted mission-select screen. At first, this seemed like a strange, isolated example of an open world game that really doesn't want the player actually exploring its world. But as I thought about it, I realized that this isn't really a new phenomenon; it's actually just a very extreme example of what has become a sort of defacto state in most open world games. 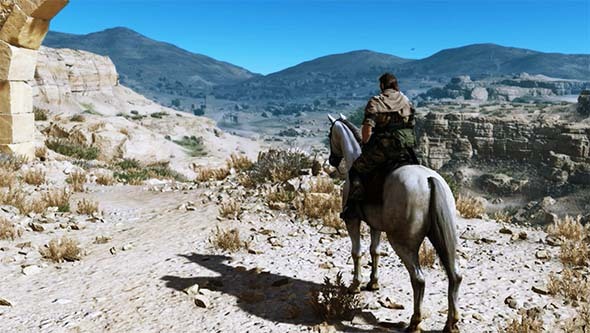 The Afghanistan map of Metal Gear Solid V feels heavily constrained by sheer cliffs. Think about it this way: in a linear game with rooms and corridors, every hallway and room should serve some purpose or function. In most games, this function will be some kind of skill or system mastery test. An action game like Devil May Cry will throw enemies at you to fight; a puzzle game like Portal will have a puzzle (or a piece of a puzzle) in the room to solve; a stealth game like Metal Gear Solid 3 will have a sneaking challenge or obstacle to pass; and so on. In the best games, each of these challenges will also provide a unique or novel test of skill or system mastery: unique combinations of enemies, unique puzzles, or novel arrangements of enemies and obstacles. Other games can use those rooms for thematic or narrative purposes. A survival horror game like Resident Evil or Silent Hill will usually put enemies, puzzle items, or supplies in a room, but some rooms might instead contain a scripted scare. In some cases, a room might even be left completely empty in order to build some kind of tension or anticipation, or to delay the release of already-built tension or anticipation. In my Skyrim review, I pretty much only considered the base game content. But the game does include three paid DLC packs that are fairly hit-or-miss. Instead of making my original review longer and more complicated (it's already long enough), I'll lump all the DLC reviews into this one post. Characters and quests are actually good! Is there a reason for me to be here?